"I could talk to [Insight Automation] about material handling subjects and they knew what I was talking about. There were other companies out there that we had talked to, we'd bring up an application and they would look like a deer in headlights." Long before we ever helped develop PulseRoller technologies, we were there in the trenches designing, building, and testing controls for materials handling conveyor systems. We've designed and commissioned large materials handling conveyor systems for warehouses, pharmaceuticals, packaging, and machinery. Insight Automation employees have 150 collective years in materials handling, with additional expertise in subjects such as bit-level communications, mechanical engineering, and electrical engineering. All of this experience means we can help you move and sort your materials, whether it's prescription pills, t-shirts, or two-ton industrial concrete. 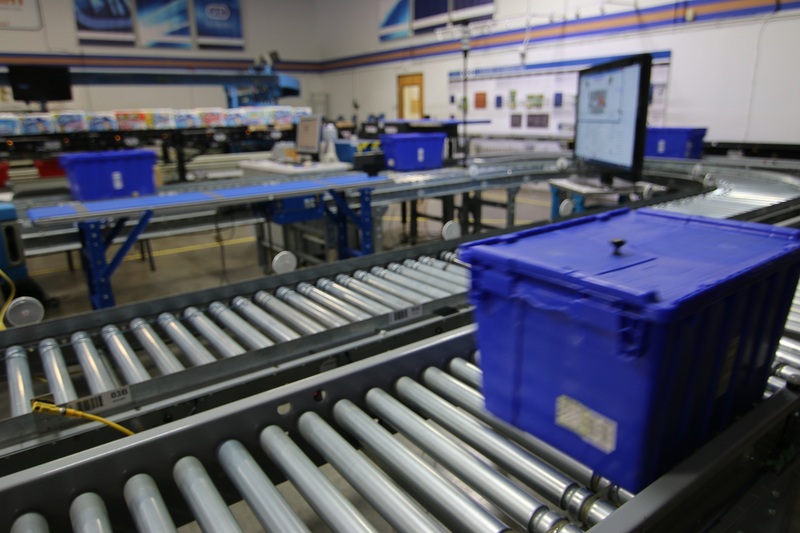 The United States Postal Service used conveyor controllers developed by Insight Automation in its Postal Flat Sequencing System to decrease city carrier workload by 85%. A soft goods company was able to create a sorter to handle items from cardboard boxes to bags to soft items such as t-shirts using PulseRoller 24-volt DC motor drive rollers and conveyor controllers. The drive controls were less than $2,000 compared to the original prototype they built using servo drives and motors costing nearly $8,000. An automation company chose to create its new sophisticated pharmacy fulfillment system with mostly robotics and Senergy motorized drive roller and Pulse GearDrive technologies. The new system outperforms current pharmacy fulfillment systems by more than 200%.